Whether you’re unwrapping your first Mac, or getting an upgrade, you’ll need some apps for your new computer. BundleHunt is here to help, with some of the best Mac software to get you started. We’ve been there and we know how it hurts. That’s why we created a system at BundleHunt for mac lovers to curate their own mac bundles. This way you’re not stuck with apps you’ll never use. Just get the apps you need, and nothing else! BundleHunt helps you Make the most of your Mac. 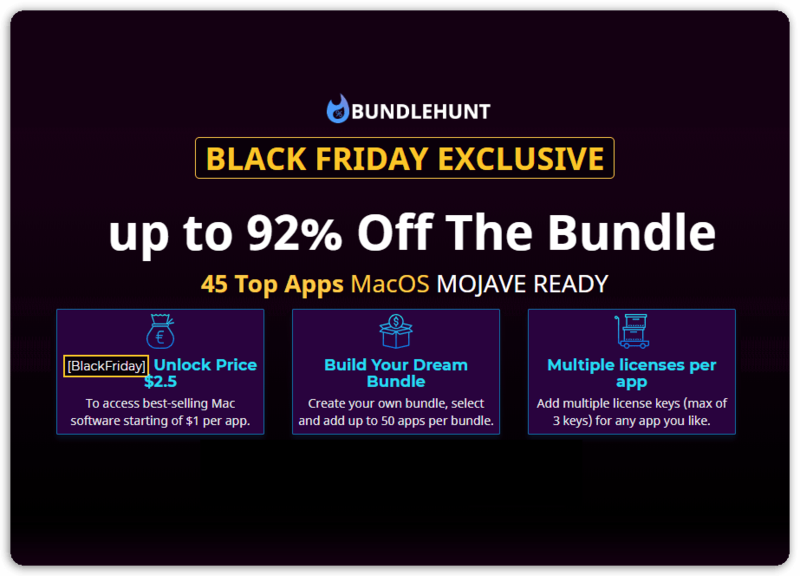 Build Your Mac Bundle AND Save-A-Lot!